Adam’s rib is not a topic you’d expect to be discussed in courses promoting evolution. 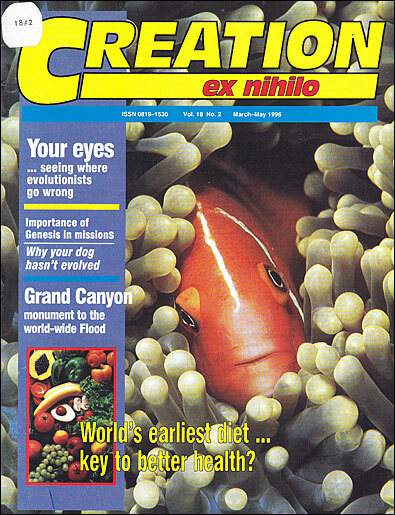 So I was intrigued to	read in Discover magazine that the subject of Adam’s rib arose repeatedly in an introductory course on evolution	at an American university (Discover, September 1995). Professor of physiology, Robert S. Root-Bernstein, recalled the first time he taught his course seven years ago. He had asked	if anyone in the class could tell him how a human female skeleton differed from a male. He found that she, and others since, believed that because the Bible records that God took a rib from the first man to form	the first woman, then all men must be born with fewer ribs than women. How would you respond? As creationists we seem to be constantly chastising evolutionists for reading more into science than the facts warrant. We	hear evolutionists claim that similar-looking body parts with different functions in different animals—such as a	whale’s flipper, a human hand, and a bat’s wing—indicate they evolved from a common ancestor. We reply that it really	indicates they were created on a common plan, for there is no scientific proof that they all evolved from a common ancestor—that is simply speculation. We find evolutionists relying on the long-discredited ‘horse evolution’ story, or claiming that tortoises (reptiles)	evolved from other reptiles, because of certain similarities. But when evolutionists realize that armadillos, silky anteaters,	pangolins, and spiny anteaters, despite their similarities, couldn’t have evolved from the same class of animals,	they explain that this is the result of ‘convergent evolution’—a shaky explanation that comes out when	the evidence is particularly unkind to evolutionists. And we often explain to evolutionists who claim that certain organs are ‘vestigial’—allegedly useless body	parts left over from a previous evolutionary stage—that the facts don’t support their assertion. More than a	hundred human organs were once claimed to be vestigial, but as scientific knowledge has increased, nearly all of these have	been found to have necessary or useful functions. So what did the evolutionist professor do with the problem of Adam’s rib? His response was excellent. ‘Let’s treat your statement as a hypothesis’, he told the young woman. ‘Now	you need to test it.’ He sent her off to the back of the classroom to count the ribs on the male and female skeletons. She	was shocked to find 12 pairs on each. The professor told her that the belief that a lost rib, or an amputated thumb, or a chopped-off tail, could be passed from	parent to offspring was a theory, now discredited, of French biologist Lamarck. The professor pointed out that generations	of Jewish and Muslim males have been circumcised, but their children are never born already circumcised. Some breeds of	dogs have had their tails cropped for centuries, but they don’t give birth to pups whose tails are already docked. Likewise, a rib taken from Adam would not mean that his sons and daughters would also lose a rib. After reading such a logical answer from this evolutionary professor, I became eager to find out why he was teaching evolution. Such a logical thinker couldn’t teach the usual easily refuted arguments for evolution. So what does he teach his	students? Similar-looking body parts (whale’s flipper, human hand, bat’s wing). Similarities prove that tortoises have evolved from other reptiles. Armadillos, silky anteaters, pangolins, and spiny anteaters have evolved through ‘convergent evolution’. Vestigial organs prove we had an animal ancestry. Some well-meaning Christians may unintentionally be doing a disservice to science and to Genesis by wrongly implying that	males have fewer ribs than females. But it is obvious that a much bigger problem of perpetuating wrong ideas lurks in university	courses on evolution. Some evolutionists can identify flaws of logic almost anywhere. Almost … because when it comes	to their assessing evolution critically, logic—like Adam’s rib—seems to be missing. * For a refutation of ‘horse evolution’, see Creation magazine, Vol.17 No.4, pp9. 14-16.